on the tellybox | what will i wear today? You are currently browsing the tag archive for the ‘on the tellybox’ tag. Oh-Em-Geeeee! Mad Men is BACK! I am so excited I think I might have to go and lie down. The new episode is downloaded and ready for the watching. I cannot wait to see what’s gonna happen with the new agency, is Betty gonna end up with the minger and will Joan dump that no good sonuvabitch? But most importantly what’s gonna happen with the FASHION? 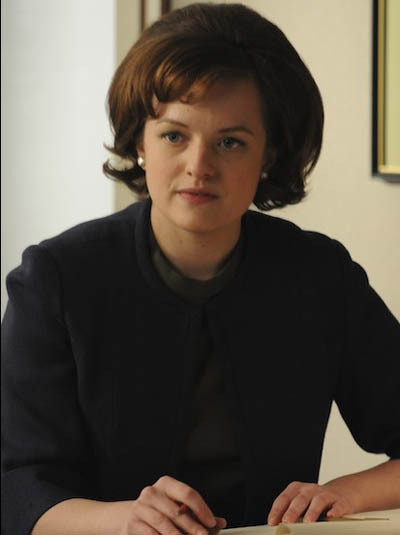 Oh lordy, by the looks of Betty’s new do, we’re in for some Jackie Kennedy worship. Some photos after the cut….